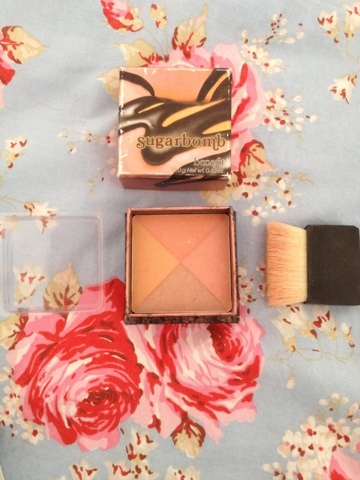 I have several of the Benefit blushes, and I love them all, they're an amazing way of taking you from plain to wow! They're nicely pigmented, not too strong when you first sweep over but if you need a stronger look with them, really easy to build up and they come in the usual super cute packaging that all Benefit make up comes in. 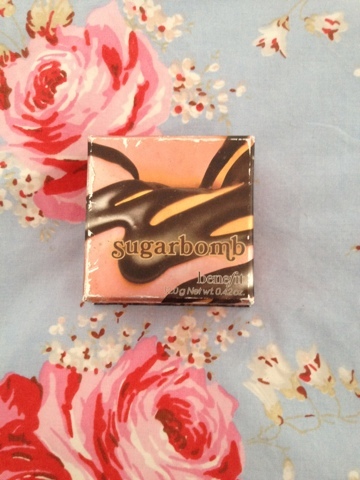 The one I'm going to talk about today is Sugarbomb which has 4 different colours, plum, peach, pink and rose in it, you swirl them together and sweep over your cheeks for the ultimate girly blush, it leaves a kind of pinky peachy colour on your cheeks with a nice sheen, it's the perfect wake up call for your skin, it's one of my go to products when I'm not feeling my best (normally hungover) to make me look healthy and awake! 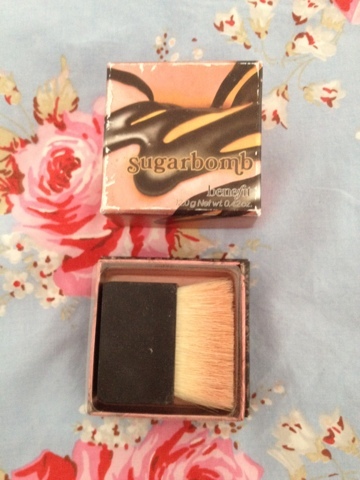 I picked mine up here for £23.50, I think I have one of older versions which comes without the mirror in the lid but I think they now come with the mirror in the lid! 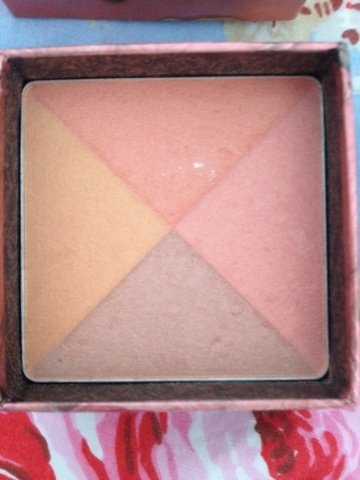 One of my favourite things about these blushes is how long they last, I have had this for well over a year and it's still no where near being finished! Big thumbs up! 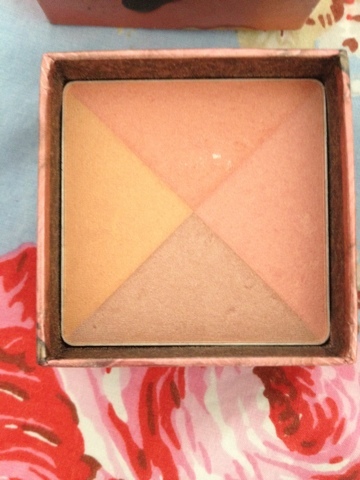 Which is your favourite of the Benefit blushes?